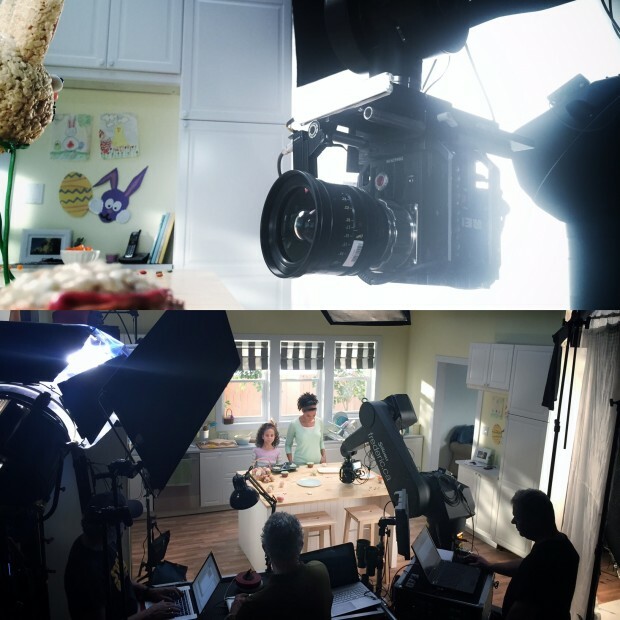 I teamed up with director Rob Shaw from Bent Image Lab to shoot another Rice Krispies spot in early January. We used the Speedarm once again to achieve a seemingly one-take spot. This motion control robotic arm allows for repeatable moves – so that we could do passes for live action, treats and table elements separately. We shot with the Red Epic Dragon and Cooke Mini S4/i primes.